Our stay at the Kairali - The Ayurvedic Healing Village was beyond our expectations! The atmosphere is out of the world. The aura of this place is so divine and the ambience is heavenly good. Before coming everybody is very much stressed and messed up. But when they step in, the refreshing breeze takes all the tiredness and worries and they start feeling very cool and calm. The positive vibes that we experienced here were magical and they repaired our body & soul. The scenic beauty was unimaginable. Rich in protected flora and fauna, this area is one of the few plots of unpolluted paradise in Kerala. 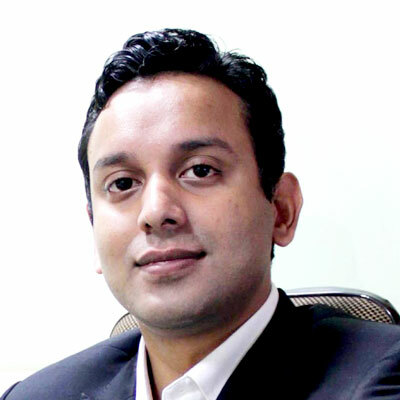 We undergo a thorough consultation on arrival and are monitored daily by the expert Vaidyas which was very appreciating. Kairali also offers us the unique opportunity to experience the charming Kerala village life and to interact with villagers. This gave us an insight into this fast disappearing lifestyle. Also, the staff went out of their way to make us feel comfortable. Thank you so much for taking such good care of us and giving us lifetime unforgettable experience. Will definitely visit this heavenly place again in future. 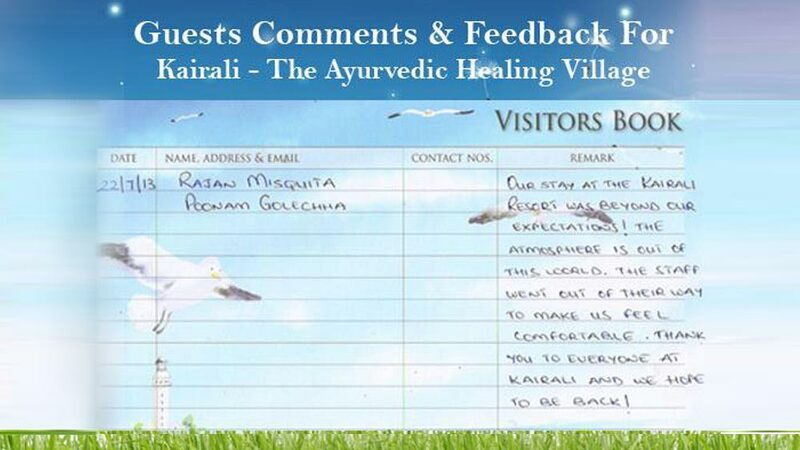 Feedback Given: Our stay at the Kairali Healing Village was beyond our expectations! The atmosphere is out of the world. The staff went out of their way to make us feel comfortable. Thank You everyone and we hope to be back.